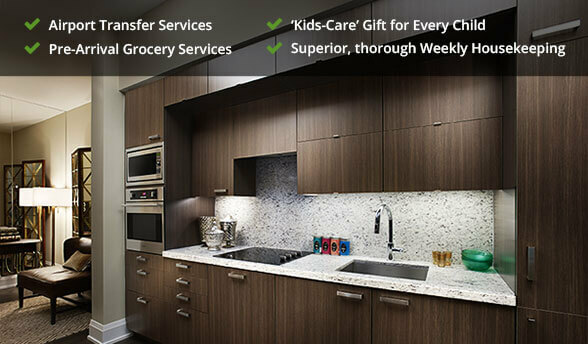 DelSuites provides premium quality, fully furnished condominium rentals in Toronto and the GTA. For 30 nights or longer, our Toronto rentals and furnished apartments provide a larger and more cost-friendly option than hotel stays - with the conveniences you expect in a home. 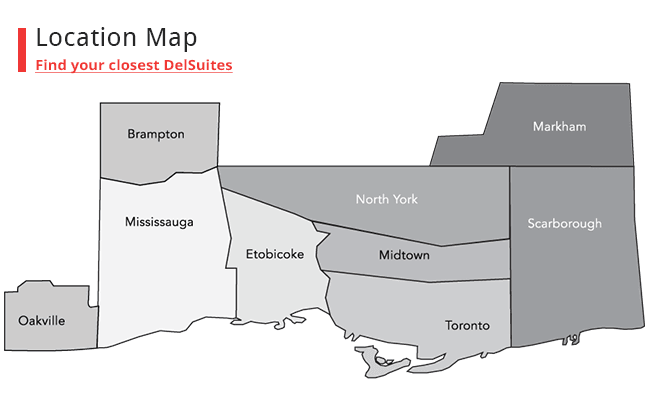 With easy access to everything Toronto and the GTA has to offer, DelSuites is located in the city’s most desirable locations, including Downtown, Midtown, North York, Scarborough, Markham, Etobicoke, Mississauga, Brampton, and Oakville. Situated in the heart of Downtown Toronto’s most vibrant area at Bay and Gerrard, the city’s top shops (Eaton Centre and Yorville), restaurants, entertainment venues and museums beckon you nearby. Looking for a corporate rates for business travel in Toronto? Choose from our selection of furnished rentals. Our Guarantee: Your satisfaction is our top priority! DelSuites will do whatever it takes to ensure you are totally satisfied with your stay from the date of your arrival. DelSuites Wins Consumers' Choice Award for 5th Consecutive Year! For the 5th Consecutive Year, DelSuites has won the Consumers' Choice Award (CCA) for the Greater Toronto Area in the category of Executive Apartment Rental.